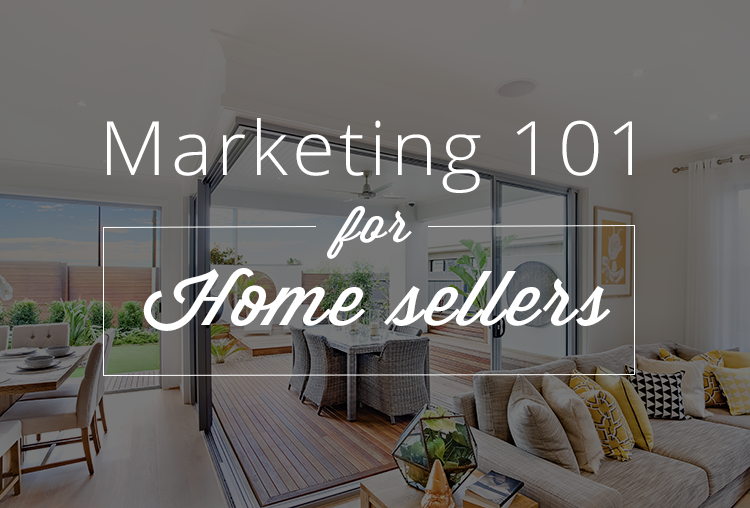 When trying to sell a home in a competitive real estate market, or any market for that matter, it’s all about marketing and presentation. Gimmicks and bad sales can be spotted right away, from the crummy pictures to the sickly sweet scented candles hiding the smell of your pets. You need to get potential buyers interested right off the bat with a great first impression, instead of sitting on the market while you learn your lesson of the importance of marketing the hard way. These aren’t just tricks and tips, these are the tried and true marketing strategies. The exterior of your home is the first thing a potential buyer will notice as they drive past your home. Make sure the exterior looks fantastic by washing the siding and cleaning the porch. Trim the shrubs or trees around your home, and make sure to keep the grass mowed. A little bit of curb appeal can go a long way in pushing your property to the forefront of buyer’s minds. It will also help fetch you a higher offer. If buyers view your home as a fixer-upper, their offers will reflect it. Tell us about any and all improvements you’ve made to your home to take advantage of the value you’ve added. New windows, new pool, upgraded counters in the bathrooms, etc. When you refurbish a home, you can also provide photographs and videos of the improvements to include in marketing materials. Ask us for a CMA (comparative market analysis) to find out exactly what your home is worth. Our advanced analytics allows us to account for improvements and upgrades that aren’t yet public knowledge, to come up with the most accurate pricing for your property. The rooms and closets in your home will look bigger when clutter is removed. As you prepare to move, it is better to begin removing excess clutter right away. Remember that potential buyers will walk through your home, looking in every bedroom closets, attic, and nook and crannie to find problems. Don’t give them a silly reason, like cobwebs or a cluttered kitchen sink, to pass on your home. A home shows its true age in worn kitchen and bathroom fixtures. Replacing old scratched and chipped plumbing fixtures is an affordable to make a big difference in the look of your home. Buyers are paying attention to all the little details and having updated fixtures is a detail they’ll definitely notice when it comes time to decide to write an offer, or pass on your home. A new coat of paint on a home’s interior walls can lead to more offers on a property. Decorators recommend using neutral colors of paint so a new buyer can move any type of furniture, draperies, or rugs into a home immediately. Use white or off-white paint to give it a fresh and clean appearance. Make sure your home’s ceilings also get a new coat of paint. Today, there are numerous home invasions and break-ins, and a potential home buyer is enticed by seeing a security system already added in a home. Modern security devices will show how home security monitoring works and can alert homeowners when there is an attempted burglary so that they can notify law officials immediately. Some security devices will also alert someone when there is smoke or flames inside a home.